Property Details: 3 Bedroom, 3 Bathroom Property with approx. 1867 square feet. 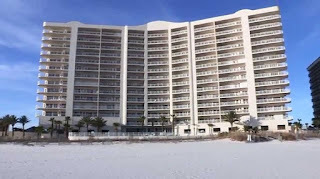 Orange Beach condo for sale at Admirals Quarters. Beautiful and spacious 3 bedroom/ 3 bath with great views of the Gulf of Mexico. The unit has been updated and A/C replaced in 2015. The unit is tiled throughout. The large floor plan has access to the large balcony from the living room and master bedroom.